Stone & Chalk has partnered with Enterprise Ireland to “bridge the Aussie-Irish fintech gap”. Irish fintech companies looking to enter the Australian and Asia Pacific markets will be able to take advantage of landing pads at Stone & Chalk’s hubs in Melbourne and Sydney, according to an announcement made today. The landing pads have been created through a partnership with Stone & Chalk, Australia’s largest fintech innovation hub, and Enterprise Ireland, Ireland’s national trade and innovation agency. 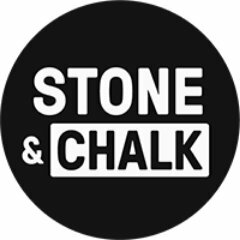 Stone & Chalk CEO Alex Scandurra said that the partnership will create a “highly valuable” fintech bridge between Ireland and Australia. “As Stone & Chalk residents, Irish ventures will join our unique marketplace that includes 27 Australian and international corporate partners, and over 650 entrepreneurs working in over 100 start-ups and scaleups,” Scandurra said. “They will gain access to our corporate and government partners, and our mentor and investor communities, who have helped our start-ups and scaleups secure over $320 million to date. The partnership brings together two different sides of fintech: a not-for-profit fintech hub and a government trade and innovation agency that invest in innovative companies. Both have a strong reputation for supporting fintech companies in Australia and Ireland.